A tiling of the plane is an arrangement of 2D shapes to cover the plane with no gaps or overlaps. A periodic tiling is one that repeats itself after a shift of some distance in some direction. 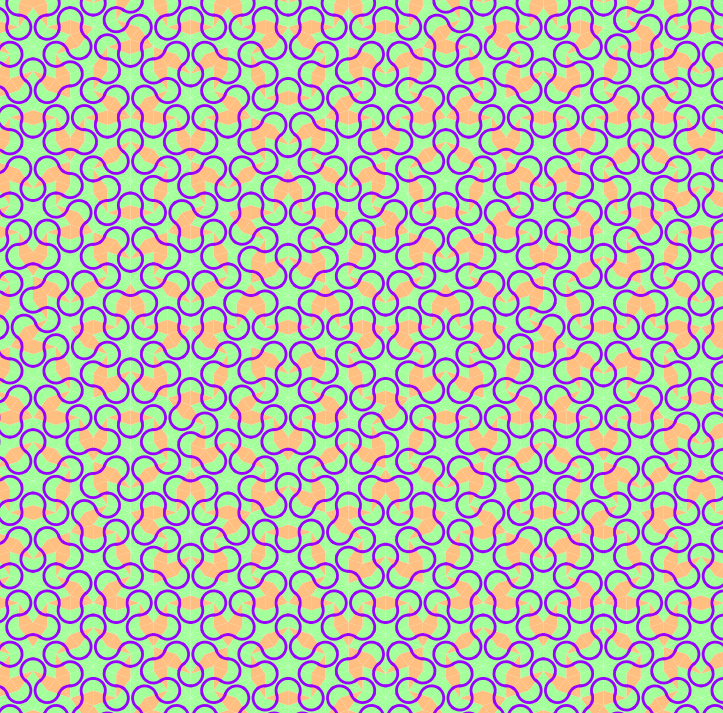 And—you guessed it—an aperiodic tiling is one which never repeats itself, over any distance in any direction. 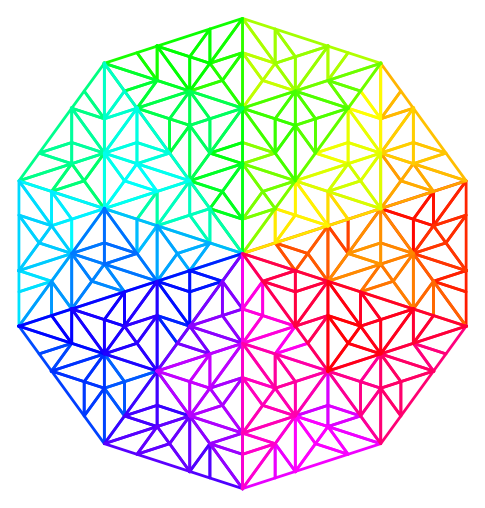 Note, though, that many aperiodic tilings do have rotational symmetry. Five-fold rotational symmetry seems to be a theme, although I have seen hints of aperiodic tilings with different symmetries. 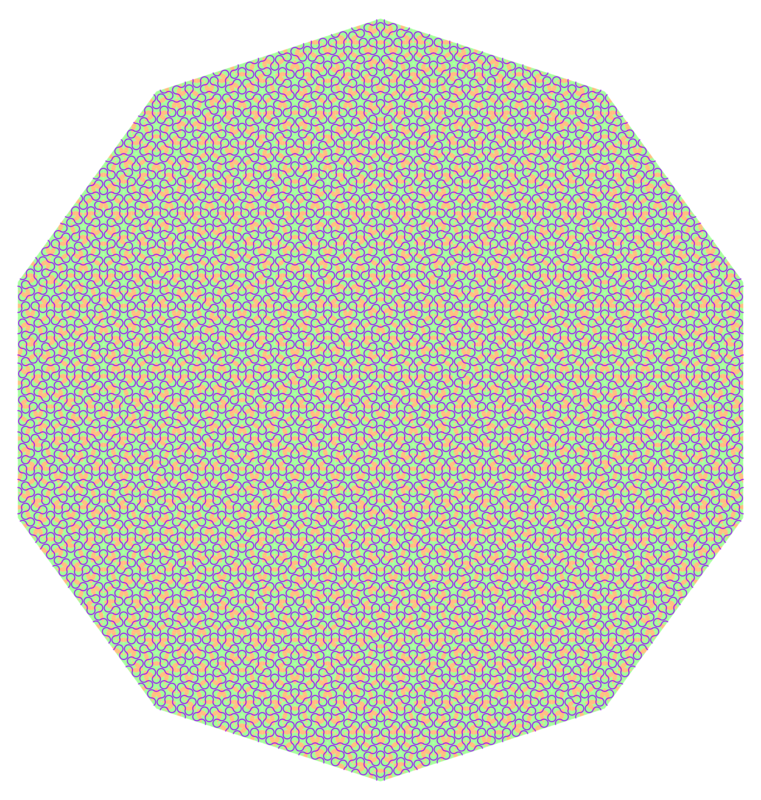 The most famous aperiodic tilings are based on the one discovered by Sir Roger Penrose. I wanted to draw some of these with Sage, and thanks to this answer from the Sage community (based on this article by Jeff Pershing), now I have some pictures! I modified the code somewhat to add the fun loops and colors, and you can download it here. 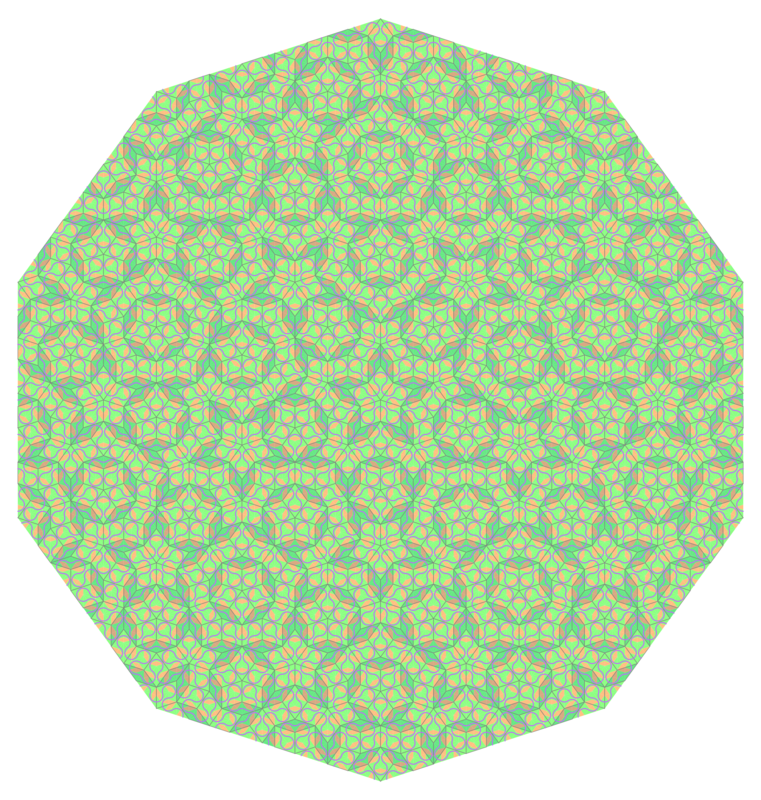 Various Penrose tilings. The last two are large tilings for poster printing! 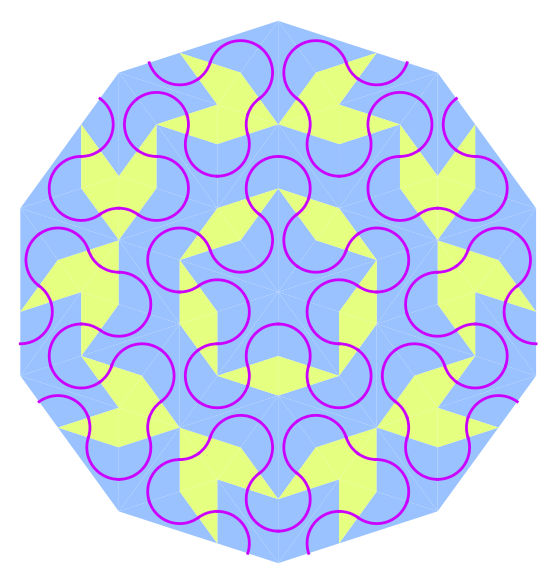 The Penrose tilings are just one kind of aperiodic tiling. 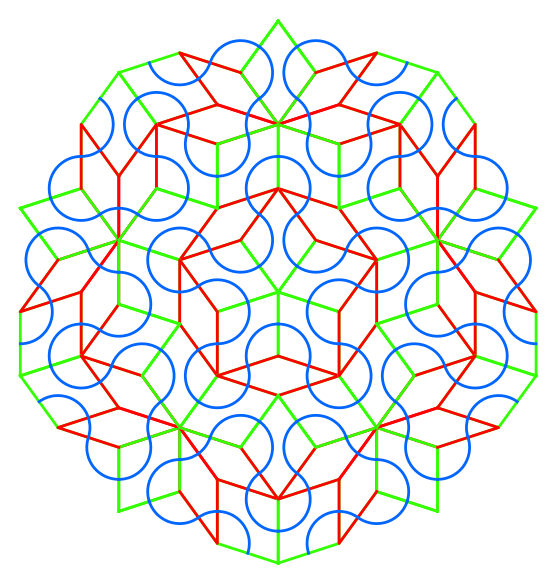 There are others, outlined in this Wikipedia article on aperiodic tilings. I'd like to understand how some of these are constructed by projections of 5-dimensional cubical tilings! The best reference for this is probably the original papers of de Bruijn, although there is a teaser sketch at this page by John J. G. Salvard. 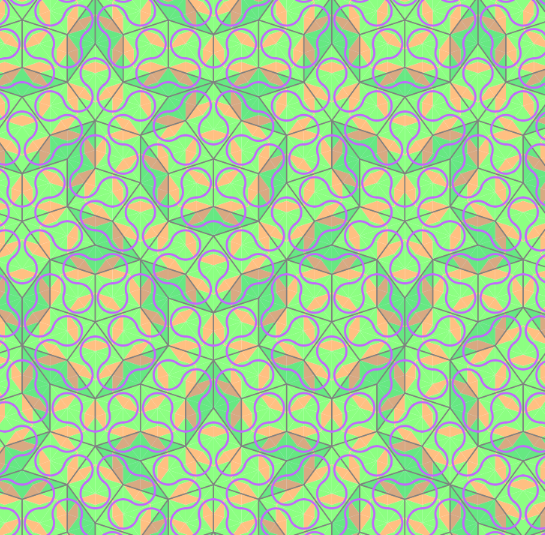 If you have code that draws these tilings, please let me know!